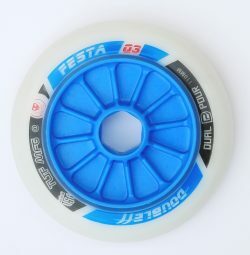 Very good wheel for long distance for the road. SS is a formulation of urethane for extraordinary good grip and rebound. Black/blew print on SS wheels.